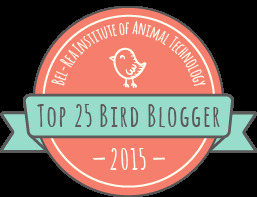 I hope you notice the new blog layout and especially the new title bar which includes 2 of my best photos. Burrowing Owl on the left is my latest life bird and baby Laysan Albatross on the right. Oddly enough, both photos were taken in residential areas. Laysan Albatross baby was sitting in the middle of a lawn in Kauai, Hawaii. I rested my camera on the sign stating to stay behind the sign. 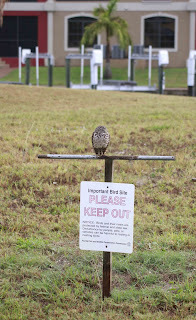 The Burrowing Owl was sitting on a similar sign in a neighborhood in Punta Gorda Florida. Two of the birdnerds bought a vacation home in Punta Gorda on a canal with a boat dock but no boat. Another 2 birdnerds have a boat, but no boat dock. See where this is going? That's right, we towed the boat to Punta Gorda so that the girls could use it for the winter. What a trip that was. Of course, we blew a tire on the trailer and had trouble getting the boat started, but it all worked out and we had a blast birding by boat through the canals into Charlotte Harbor. More about that later in the week. Now, about that owl. 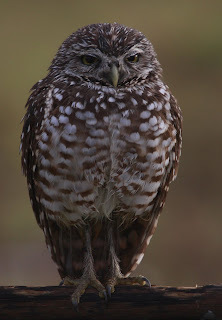 Who knew that such cute little owls could cause old men to be so grumpy? Lori read a report on the Internet about Burrowing Owls in Punta Gorda, so we had to track them down. The Internet report was all about the property owner (read grumpy old man here) wanting to collapse the burrows so that the owls would move and stop pooping on his door step. The owls are protected species. Bothering them is strictly prohibited so we figured that they would still be there. Well, they weren't on the street named in the Internet article. We drove slowly through the neighborhood scouting probable burrowing spots. Scanning each yard carefully. Nothing. No owls. I finally asked an old man riding a bicycle if he knew about the owls. He told us that he was also looking for them and that they are usually on one of the streets in the neighborhood. He peddled one way and we drove the other way. Slowly. We stopped at a vacant lot with a patch of overgrown weeds. We were sure that this would be a good burrow location. Well, we were really sure once we read the sign that stated "Important Bird Site - KEEP OUT". That's a pretty good clue that the owls are around. Enter the grumpy old man: A car pulled into the driveway on the lot next to the KEEP OUT sign. A man got out and yelled to me "that lot's not for sale" to which I replied "we're looking for owls" to which he replied "they're not there and I don't want people in my backyard" to which I replied "oh, I didn't know this was your yard since it's not mowed". He got back into his car and drove away. Pretty cool huh? Right next to another grumpy old man's house. He stuck his head out of the door and asked if he could help us when we were sitting in the car outside of his house gawking at the owl. What did he think we were doing? Why else would a car be stopped in front of that sign and that owl? To talk to him? Not bloody likely.